This is CAPSULE, a re-imagining of the Nakagin Capsule Tower, a Japanese Metabolism building designed by architect Kisho Kurokawa in the 1970s. My current work in progress series is titled Dark Cities. Started 3 years ago, the work is motivated by my interest in fringe spaces within modern urban centres and megacities. I am curious about how built environments and their utility get subverted over time. Currently there are three works in the series Carpark, Capsule and Euljiro. 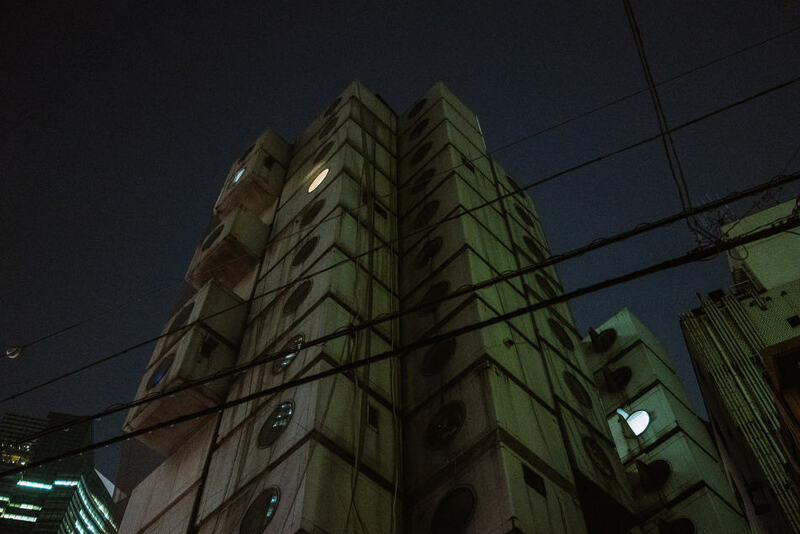 This is CAPSULE, a re-imagining of the Nakagin Capsule Tower in Tokyo, a Japanese Metabolism building designed by architect Kisho Kurokawa in the 1970s. CAPSULE, by Shyue Woon is a project made and edited during the IPA Mentorship Program. Click to view: More Mentorship Projects.